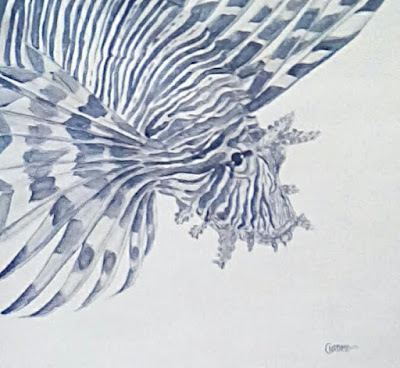 I am starting a series on lionfish today. These studies are for a larger painting at a later date. I love painting them, even though they are a bad fish to have in our waters because they eat a lot of the baby game fish. 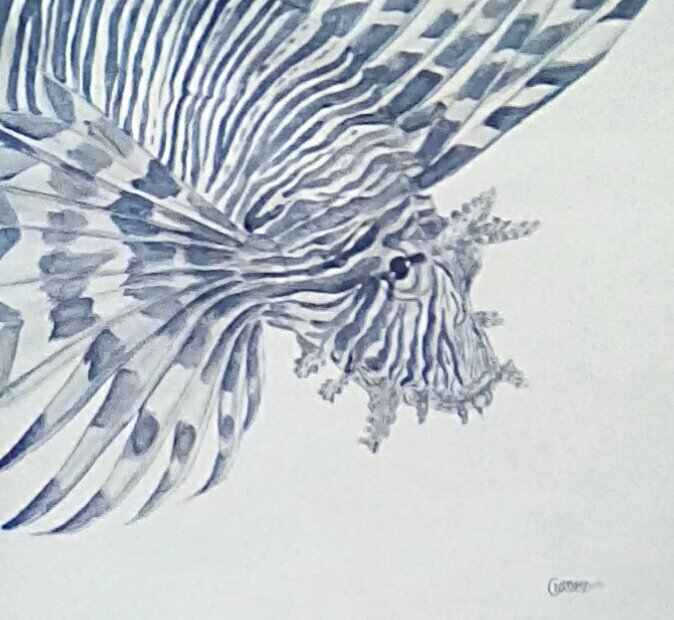 Lionfish are not native to our waters, but I've heard they're delicious! The hairstyles are changing, clothing is changing, and some are balking at the traditional ways of life. I see a different India from 5 years ago. Today we also went to the All India Art show. We did not take the baby with us on our adventure. The show is interesting to say the least. Lots of galleries from all over India and the world. The artwork ranged from the whimsical to just plain weird. We enjoyed ourselves, got a delicious dessert, saw a lot of art and bought a couple of books. I bought Christina a book on her favorite artist, Frida Khalo and myself a book on graffiti artists. I am bringing home ideas for art camps that will blow kids minds, and probably their parents too!